Why Chocolate Can Be Good For Your Health? 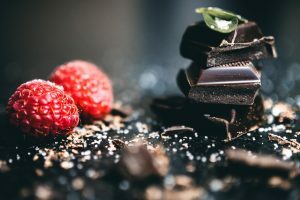 Scientific research into chocolate is turning up some intriguing possibilities about its healthful nutrients, including improved immunity, greater longevity, and quicker recovery from intense exercise. Dark chocolate without unhealthy additives and sugar has been shown to lower the risk of cancer and stroke, and lowers blood pressure as effectively as antioxidant-rich fruit and vegetables. Moderate consumption protects the heart by thinning the blood in much the same way as low-dose aspirin, while its beneficial flavanols protect artery walls and lower blood pressure and cholesterol. Weight for weight it has the same amount of antioxidants as red wine. These support overall immunity and intestinal immunity by boosting the response of antibodies and T-helper cells (a type of blood cell that helps kickstart the immune response), and strengthening the intestinal lining against invading microorganisms. 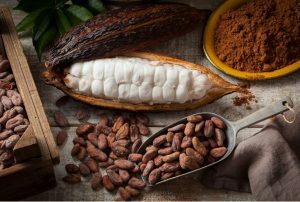 One of the stimulants in cocoa, theobromine, has been shown to be more effective than codeine (a traditional cough suppressant) for soothing a sore throat. Studies show substances in dark chocolate help ease gastrointestinal upsets. How Do I Get The Best From It? At least 30 pesticides are used in conventional cocoa so opt for organic. For the most antioxidants, choose semisweet or unsweetened chocolate with at least 70 percent cocoa solids and less sugar. Milk chocolate contains fewer antioxidants. Eating a little high-quality chocolate will be far more satisfying than a highly processed bar. Avoid bars with hydrogenated or partially hydrogenated oils. The minimally processed nibs contain all the cocoa bean’s nutrients. Eat as they are or add to fruit salads or baking. 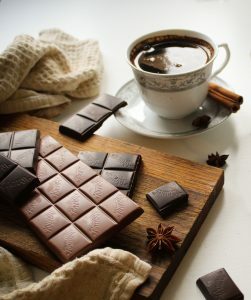 Milk inhibits the absorption of cocoa polyphenols, so mix 2 tbsp high-quality cocoa powder with hot water and drink in a demitasse cup as you would an espresso. 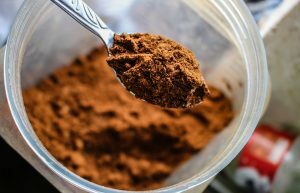 Unsweetened cocoa powder has twice the level of antioxidant polyphenols as processed dark chocolate, and 4 times that of milk chocolate (white chocolate contains no antioxidants). Catechin and epicatechin, the antioxidants found in cocoa beans and cocoa products, are the same as those that give green tea its anticancer properties. These are dried, roasted, and crushed cacao, or cocoa, beans, which are used to make chocolate. 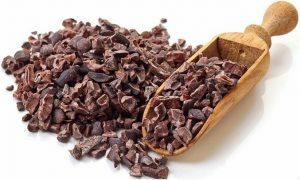 Like cocoa powder, the cacao nibs are high in antioxidants. Studies show that people who eat dark chocolate regularly have a lower risk of heart disease and stroke. Is Latisse For Your Eyelashes?